Oregonians can agree on a lot of stuff whether it’s good beer and wine or getting outside to enjoy a mountain or a beach. Two other things: we hate coal and we love renewable energy. A group called Renew Oregon was formed recently to harness that enthusiasm to help Oregon chart a course to a comprehensive policy to address climate change. As part of that agenda, groups involved in the effort identified a key step that needed to be taken before comprehensive climate policy could be adopted. We needed to significantly reduce coal in our energy mix and make sure it was replaced largely with clean energy, like efficiency and renewable resources. To that end, in October 2015, Renew Oregon filed some ballot measure concepts that proposed eliminating coal from Oregon rates by 2025 and increasing the state’s Renewable Energy Standard to require that 50 percent of the energy needed by the two largest coal utilities (Portland General Electric and Pacific Power) come from renewable resources by 2040. That caught the attention of the two utilities and they asked to negotiate an agreement that could accomplish the goals of a ballot measure but be adopted by the legislature. Groups like the Oregon Environmental Council, Climate Solutions, Citizens’ Utility Board, NW Energy Coalition and others agreed to sit down with the utilities. Against all odds, the utilities and public interest groups came to an agreement. The agreement calls for coal to be mostly removed from Oregon rates by 2030 and to have a Renewable Energy Standard for PGE and Pacific Power of 50 percent by 2040. 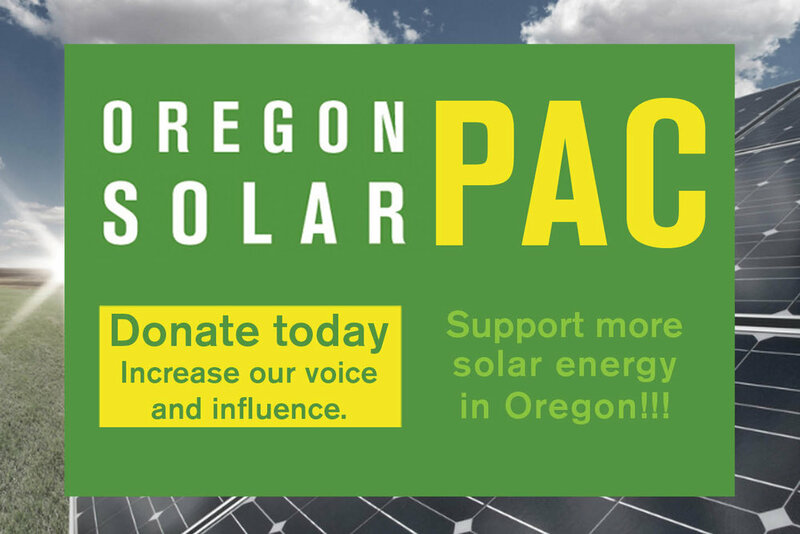 It also outlines guidelines for building out infrastructure for electric vehicle charging and directs the Oregon Public Utility Commission to establish a community solar program that allows home and business owners who want solar but cannot put it on their roof to be able to subscribe to a larger community project and see the energy benefits from that project in the form of a credit on their bill. The agreement will be introduced in the February 2016 session of the Oregon legislature as House Bill 4036. The OSEIA board has voted to support HB 4036 as a big step forward in solid energy policy for the state. Although the bill certainly doesn’t solve all of the solar industry’s issues, it does provide a major opportunity to build solar projects over the coming years to meet the larger Renewable Energy Standard. The community solar program in particular could be a big win for the industry. OSEIA members and supporters will be hearing a lot about HB 4036 over the next month. You will have the opportunity to contact your legislators and urge their support for the bill. OSEIA will also have briefings on the bill and regular updates as it makes its way through the legislative process. Stay tuned!